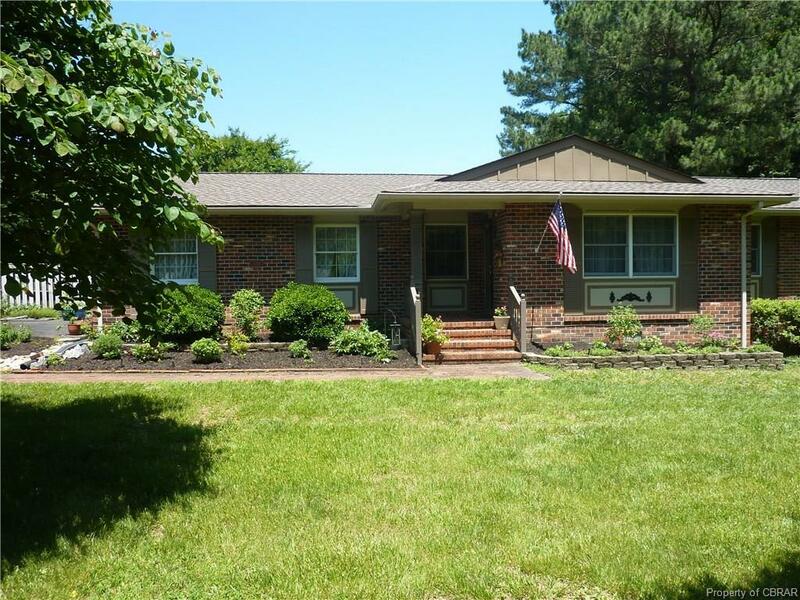 NEW REDUCTION ** $10,000 ** - LOCATED IN THE HIGHLY DESIRABLE WALNUT COURT NEIGHBORHOOD, A ROOMY 3 BEDROOM/2 BATH HOME WITH EXTRA LARGE FENCED BACKYARD WITH A SPACIOUS SCREEN PORCH - PLUS - YEAR-ROUND SUNROOM. AN OVERSIZED MASTER WITH ENSUITE BATHROOM OPENS ONTO THE SCREEN PORCH. RECENTLY UPDATED WITH NEW ROOF (2017), ATTIC INSULATION & CRAWL VAPOR BARRIER (2016) AND NEW APPLIANCES IN 2016. OVERSIZED GARAGE - LARGE ENOUGH FOR SMALL BOAT & TRAILER - 12X21 ON RIGHT SIDE - 15X13 ON LEFT. WELL MAINTAINED YARD WITH A VARIETY OF FLOWER BEDS IN FRONT AND BACK YARDS. MOVE-IN CONDITION! !